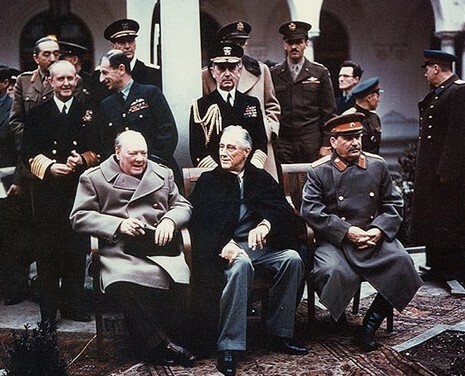 The Yalta Conference, sometimes called the Crimea Conference and codenamed the Argonaut Conference, was the wartime meeting from 4 February 1945 to 11 February 1945 among the heads of government of the United States, the United Kingdom, and the Soviet Union—President Franklin D. Roosevelt, Prime Minister Winston Churchill, and Josef Stalin, respectively—for the purpose of discussing Europe's postwar reorganization. Mainly, it was intended to discuss the re-establishment of the nations of war-torn Europe. 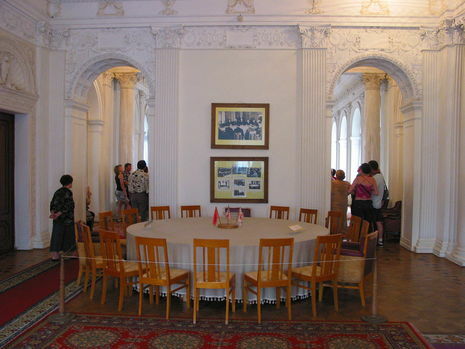 On 4 February to 11 February 1945 the Big Three (Churchill, Roosevelt, Stalin) convened in the Livadia Palace near Yalta, the Crimea. 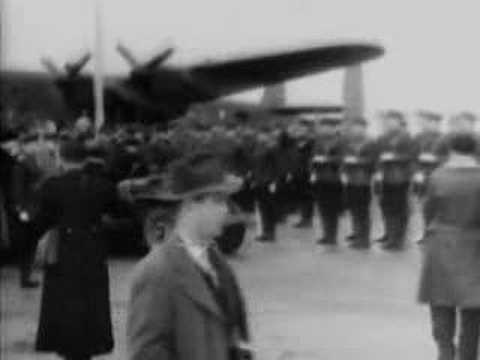 It was the second of three wartime conferences among the major Allied Power leaders. It had been preceded by the Tehran Conference in 1943, and it was followed by the Potsdam Conference, which Harry S Truman attended in place of the late Roosevelt, and Clement Attlee attended in place of Churchill, due to general election loss, later in 1945. How to deal with the defeated or liberated countries of eastern Europe was the main problem discussed at the conference. The agreements reached, which were accepted by Stalin, called for “interim governmental authorities broadly representative of all democratic elements in the population . . . and the earliest possible establishment through free elections of governments responsive to the will of the people.” Britain and the United States supported a Polish government-in-exile in London, while the Soviets supported a communist-dominated Polish committee of national liberation in Lublin. Neither the Western Allies nor the Soviet Union would change its allegience, so they could only agree that the Lublin committee would be broadened to include representatives of other Polish political groups, upon which the Allies would recognize it as a provisional government of national unity that would hold free elections to choose a successor government. Poland’s future frontiers were also discussed but not decided.